The TS16 fleet again numbers 14 boats. Uncle Roy, which was crewed by Eric Partland and Gary Wills, has left, though Eric sailed several races in Annette at the beginning of this season and Gary has been spotted in the Sailors Bar and has been a guest skipper. 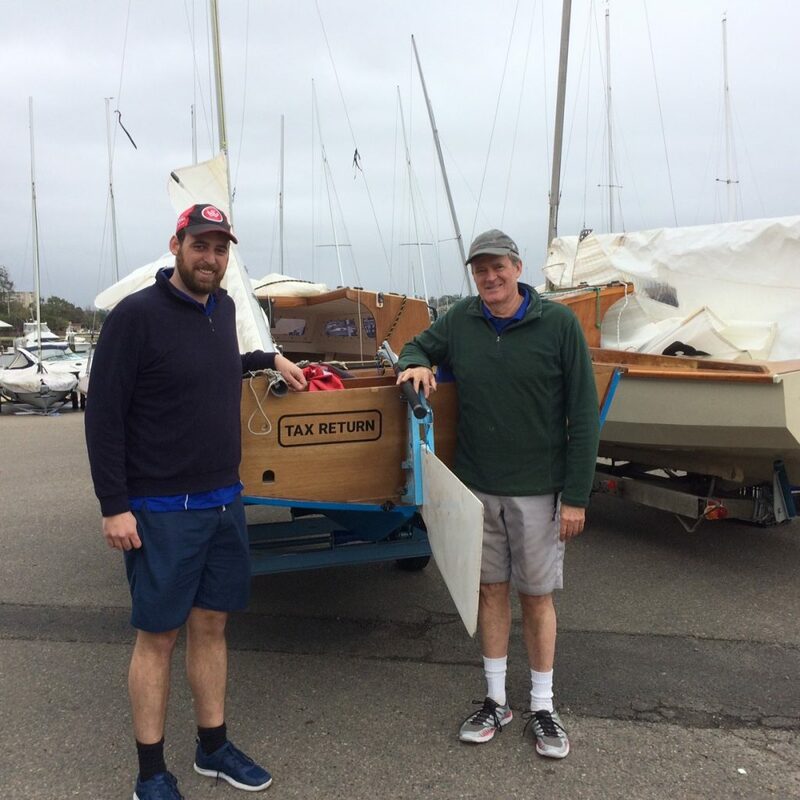 We welcomed Tax Return to the fleet, skippered by Greg Widders and crewed by his father, Peter. Greg is just about a local boy; he grew up in Gladesville, and is a life-long sailor. Greg said he has always liked TS16s. He had bought plans to build another boat, but changed them when he saw Tax Return, then called Doreen, advertised. He renamed the boat because its purchase price ‘pretty well matched up with my tax return’. Greg and Peter ended 2018 on a high note, winning the last race on handicap on December 15. It was his first win, and puts him in the lead for the summer point score. Greg’s season started with a number of problem with his rigging, and then his tiller. He didn’t finish his first race due to problems with his halyard tension, then came in last twice. Neil Bilsborough helped Greg work out how much tension he had on his rigging, and how much he needed. 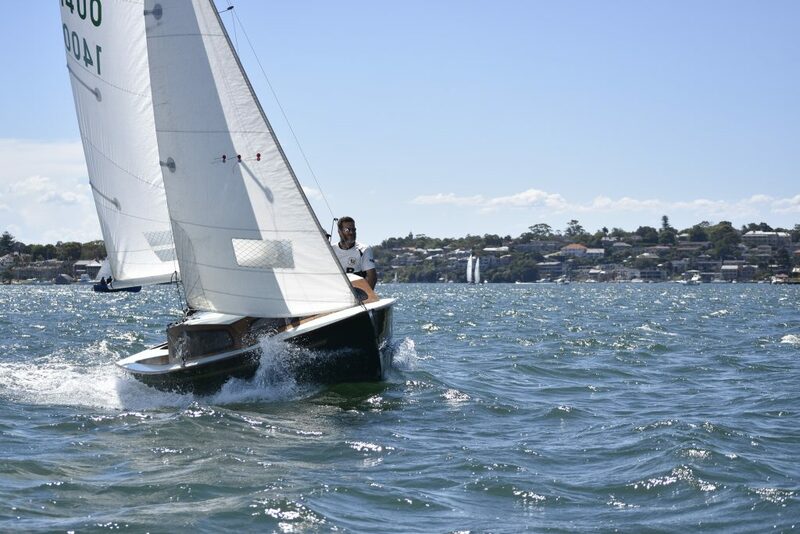 Greg then improved dramatically, coming in seventh, on handicap, in race 7, and second in races 8 and 10, then finally first in race 13. Greg said he has found the TS16 sub-club very helpful, ‘plenty of people have shown me tips and tricks’. Helen Joy, sailed by Chris Giaquinto and crewed by Ross Pollitt or Keith Carter. The Season Point score leader is Murphy’s Law, David and Russell Johnston, followed by Helen Joy, then Tranquil. The season so far has produced a number of windy Saturdays. The TS16 is a stable boat, but it can capsize, and a number of sailors prefer to stay ashore under risky conditions. On the second race of the season, September 15, with wind was a nor’wester gusting over 20 knots. Only 6 boats started, and four finished. Race 4, October 6, was also gusty. Only five boats started, with all finishing. Race 12, December 8 th, brought the strongest wind of the season, a fresh nor’easter that gusted over 25 knots. Eight boats started. Two did not finish, and one, Tempo, sailed by Peter Dallas and Ian Campbell, capsized. Neil and Denis, in Ultimately Sinister, relinquished the opportunity to win fastest time and stayed with their capsized clubmates until assistance arrived. The club also showed its friendly spirit when Tempo was towed to the beach next to DSC, and was met by the TS16 sailors who had withdrawn from the race who provided valuable assistance. Special thanks to Sandor Tornai who offered his boat, Cougar, to fill in as committee boat and came to Tempo’s rescue. 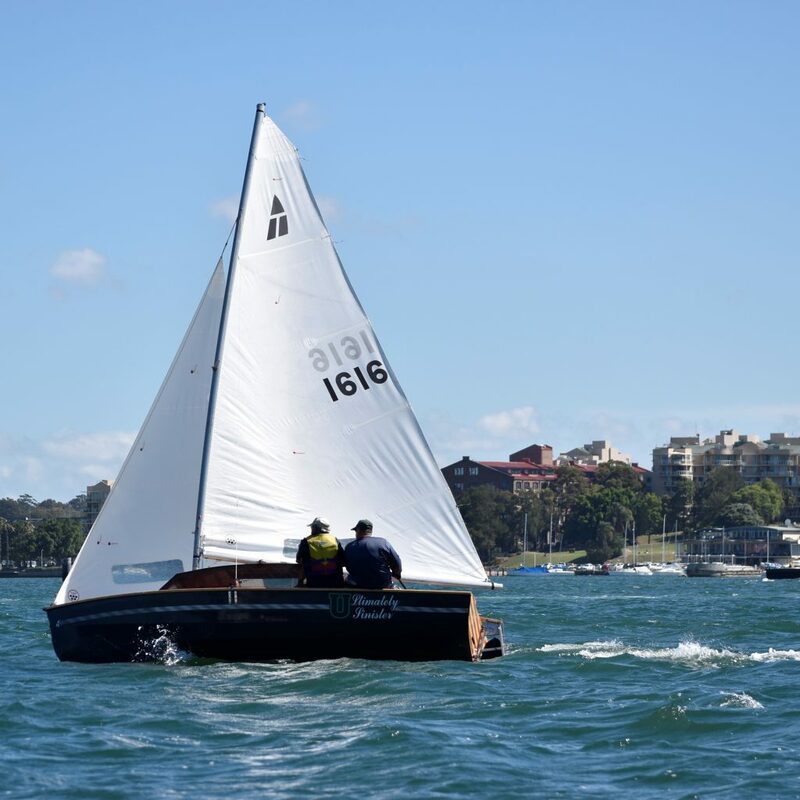 The Club made a good showing at the NSW State Championships, held over the October long weekend at Speers Point, on Lake Macquarie, hosted by the Speers Point Amateur Sailing Club. The championships were sailed under a range of conditions, with winds ranging from fresh to strong. Annette, skippered by Eric Partland, came 4 th in the fleet of 18, with Tranquil, Helen Joy, Murphy’s Law and DC taking places 5 to 8. Murphy’s Law came second on handicap.